Back pain is mostly as a result of stress that has built up in our bodies highlighting and physical muscle imbalances that exist leading to irritation to the spine, discs, nerves, joints, muscles and ligaments. Stress has three main origins – Physical, Chemical and Emotional, so a poor diet which upsets the chemical balance has the potential to stress the muscle system and cause or heighten a sufferers back pain. A healthy, balanced diet will help minimise the stress your body is constantly under because it feeds the body with essential nutrients that in turn help you to stay relaxed. Just like you cannot put bad fuel into a car and expect it to run well, your body won’t function well either if it is not being fed properly. Keeping your diet wholesome and pure with good nutrition and combining that with re-balancing your muscles on a regular basis will help you stay pain free and perform at your best with the energy levels you need to fight off or recover from injury or illness. When your body is well balanced; chemically, nutritionally and physically, your moods stabilise and your nervous system benefits as well so you mostly feel relaxed and calm, with very little anxiety, aggression or pain. A balanced, healthy diet will also ensure you don’t suffer from cravings because your nutritional needs are being met and more importantly you will put yourself into the low risk group for suffering from back pain in the first place. The reality is that, typically, in our fast paced world, a vast majority of people live off a diet that is high in processed and packaged foods. 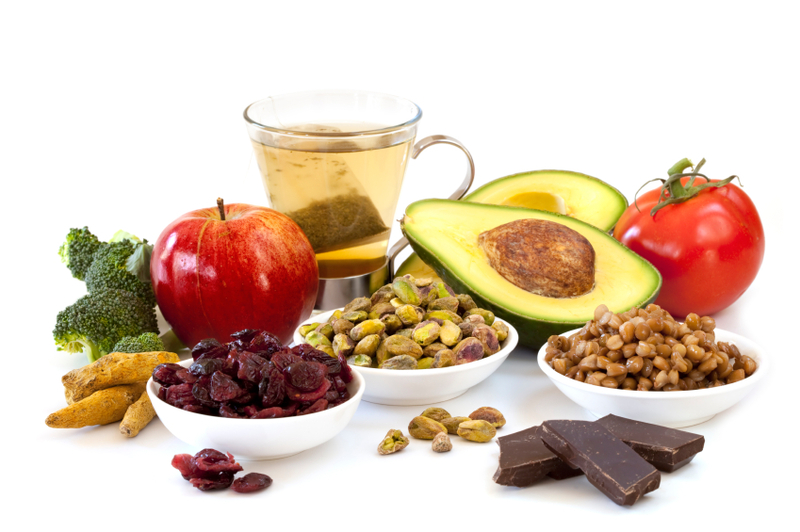 While these foods offer a ‘quick’ energy ‘fix’ they ultimately fail to nourish your body sufficiently and therefore give you less chance of coping with a stressful, active lifestyle. It will also inevitably cause you, somewhere down the track, to struggle with back pain and sciatica – if you don’t already. Food manufacturers and marketing companies are experts at making and promoting products in such a way that they look healthy and good for you and often taste even better. It’s been left up to you to work out the difference between what is fact and what is just marketing propaganda and most people are not trained to do that. If you read and understand the small print and have a closer look at the ingredients list you will slowly begin to realise that you are unwittingly eating foods that are detrimental and damaging to your future health. Barring a law being put in place banning the sale of foods that don’t contribute positively to our health, it’s up to us all as individuals to take responsibility for the ‘fuel’ we put into our bodies. Don’t be tempted by foods that do little but make huge profits for the manufacturers at the expense of your health. Foods that are pre-cooked, packaged, processed and fast foods serve only to take up space in your stomach and give you high doses of fats, salt, chemicals and additives. They contribute very little towards satisfying your nutritional needs, fuelling your muscles or assisting in your growth and recovery after exercise. They may take away your hunger temporarily, but they cannot satisfy your body’s nutritional needs for long and so your hunger will return long before you’ve had the chance to burn up the high number of calories they contain. And therein lies the dilemma and struggle that so many people have not only with their health, but also with their weight. Fresh, raw, healthy foods on the other hand won’t make you fat, give you bad skin or contribute to the diseases that are becoming all too common in today’s world, so that must tell you something. Eating the bad foods only occasionally along with good food won’t counter the harm they are doing to your body either. It’s not about the balance of good food to bad food that you eat. All the bad food you eat will be detrimental to your long term health. It really is true that ‘The greatest wealth is health’ and that your body is your temple so it is important that you treat it with the care and respect it deserves. Look after it by eliminating processed, pre packaged or pre cooked foods and it will look after you by keeping you healthy, making you feel good, energised and ready to cope with the challenges of life. Refined foods not only rob you of your energy but they don’t metabolise properly and will therefore create metabolic waste and toxins that stay and lurk in your system, compromising bodily functions and creating additional burdens that manifest as health problems. When it comes to eating right and exercising, you really cannot say “I’ll start tomorrow” because tomorrow will just bring dis’ease’. From my experience, the worst irritants of pain are foods that are high in sugar like chocolate, lollies and alcohol. Refined foods are just as bad and include all foods with “white” in them – flour, salt or sugar. It is best to avoid all refined carbohydrates including cold breakfast cereals, white breads and pastries. It is also important to avoid stimulants and chemicals in your food and drink only purified water. Purifying water yourself using prill beads can be very economical. Also, make sure you use only unrefined oils, because saturated and hydrogenated fats are transformed into a hormone-like compound, prostaglandin, which promotes inflammation and pain. You may need to reduce your meat consumption too. But first and foremost, eliminate margarine, shortening and any food containing hydrogenated fat. The top culprit foods containing hydrogenated fat include readymade cake mixes; chips and crackers, breakfast cereals, chocolates and sweets, ramen noodles and soup cups and any food that is deep fried. Fast foods are drenched in hydrogenated fat as are frozen foods such as frozen pies, frozen waffles, frozen pizzas and even breaded fish sticks. Cookies and cakes (with shortening-based frostings) from supermarket bakeries have plenty of trans fat as do toppings and dips. Non-dairy creamers and flavoured coffees, whipped toppings, bean dips, gravy mixes, and salad dressings contain lots of trans fat as well. A few tips here that will help eliminate hydrogenated fat in your diet: Use skim milk or powdered non-fat dry milk in coffee; use natural oils such as olive oil and canola oil, choose whole-wheat bread, bagels, pita bread and pretzels instead of chips and crackers and bake all your own cakes, muffins and biscuits so that you can control what goes in them. While some foods can help you with pain, other foods can make it worse. A first step is to determine if you have any food allergies or intolerances. The two are often confused because intolerances can cause the same signs and symptoms as food allergies so ask your doctor for testing to know what foods you should avoid. A common group of foods that intensify pain, even in people who otherwise do not have food sensitivities, are the nightshade vegetables – tomatoes, potatoes, peppers and eggplant. There probably has never been a truer saying than ‘you are what you eat’. Over about a twelve month period every one of the billions of cells that make up every part of your body die off and are discarded. They do regenerate again anew but are fuelled by the foods you eat during that time. It’s only logical that if you eat second rate foods you will end up with a second rate body and second rate health, certainly not overnight, but slowly and surely it will happen. In order to minimise the chances of suffering from back pain or to find relief from the back pain you are already struggling with, the first place to start is with your diet. Try to eat a good variety of mostly fresh foods with an emphasis on fruit, vegetables, nuts and grains, with lots of fish and some lean meats. Maintaining a good acid/alkaline balance within your body is also crucial to your health. 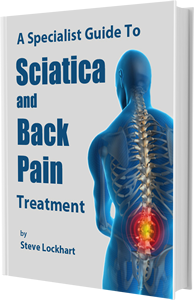 As a guide the acid/ alkaline food list in ‘A Specialists Guide to Back Pain and Sciatica Treatment‘ will assist you with your choices. You should aim to eat 75-80% of your foods from the alkaline list for the best results. If the ph level of your blood is right, your physical body will feel much more supple and relaxed and you will benefit from increased energy levels too. .When eating foods to help your pain level it is important to realise that not all healthy foods are always good for you either and conversely some are especially good for you and should therefore be increased in your diet. Take chlorophyll as an example. This is an extra good food source because it reduces inflammation. Adding a generous serving of leafy green vegetables with each meal will give you a good dose of chlorophyll. You may also wish to supplement with superior chlorophyll sources like spirulina, chlorella, blue green algae, sprouts, wheat-grass and barley grass. Or you might want to simplify things somewhat by taking a natural daily supplement like InLiven the probiotic superfood. Cherries and pineapples also reduce inflammation. Pineapple contains the anti-inflammatory enzyme, bromelain. This protein-digesting enzyme literally consumes foreign microbes and diseased cells in your system. So next time you’re out fruit and vegetable shopping and smell a sweet ripe pineapple, buy it. Don’t get green pineapples though, they have no aroma (especially at their base) and will never ripen. And then there’s Turmeric. There is so much more to turmeric than just spicing up a curry. Research has shown that it has incredible benefits in warding off inflammation, dementia while also reducing your risk of cancer. It also reduces the risks of heart attack and strokes and wards of Alzheimer’s disease. It is an excellent antioxidant and helps to increase ligament flexibility. It is especially useful in the case of stiffness. You can buy it as a spice from the supermarket and sprinkle it over your food or take it in liquid form or powdered capsules, available at reputable health shops. Additional foods and culinary herbs that reduce inflammation and support healing of muscles, ligaments and tendons include the onion family, flax oil, burdock, ginger, yam, winter squash, sweet rice, millet and chamomile. In terms of your overall diet, favour easy to digest, whole foods that are freshly prepared and organic if you can get them. They have the necessary nutrients to cleanse, build and maintain your whole body. Not only will your body function at its best but you will have extra energy to repair the inflamed and damaged muscles and ligaments. If you find it difficult to discipline yourself to eat well, try breaking it down by tackling it slowly, one meal at a time. Start with breakfast by limiting your selection to fruit, oats, grains or tea and toast. Don’t skip breakfast. Wait until you are happy and used to eating a good breakfast before working on your lunch time meal and the same before you attempt to change your dinner menu. Make sure your day is busy enough that you don’t have time or opportunity to eat between meals and to prevent you from constantly focusing your thoughts on food or what you are going to eat next. If you suffer from cravings for sweets or chocolate and the like, look toward vitamin and mineral supplements like Vitamin B, Chromium and fish oil which reduce cravings rather than give into them. Over the years I have also seen a correlation between people with tight and twisted spines and sweet or carbohydrate cravings. This is because when your body is out of balance, your energy will be low and consequently you will crave those foods that give you an instant energy ‘fix’. Once the twist in the spine has been removed and suppleness restored, the cravings ‘magically’ disappear. Don’t underestimate the impact of sleep on diet and disease either. Lack of sleep will ensure that you experience cravings for foods high in sugar that, again, give you an instant energy ‘fix’. Getting enough high quality sleep is as important to health and well-being as nutrition and exercise. The important thing is not to beat yourself up or give up if you don’t find the changes easy to implement straight away. Be patient and take the necessary time to adjust slowly to the changes and before you know it, you will be there. As you are most probably aware, there has been much debate about whether you can obtain all your nutritional requirements from diet alone, or whether you should take vitamin, mineral and protein supplements. So many of the foods we eat today have been stripped of their natural forms of vitamins and minerals because they have been modified or over manufactured in order to cut costs. Even fruits and vegetables are drowned in chemicals and pesticides, picked and stored before they ripen and grown in soils that are lacking in essential minerals. That is why, even if you don’t consume huge amounts of food in a day it’s important that when you do eat, it is quality nutrition. When you do take supplements it is better to take ones that are in their natural form as organic whole foods, so they will assimilate into, and work better with the body. While the supplementation debate continues, many so called experts differ in their opinion. For me the answer is simple – choosing whether to supplement with vitamins and minerals depends on the amount of stress or physical pressure your body is under. I would say that most people today, especially those who are physically active, will need some form of supplementation to support their high stress levels. Very rarely do I see a patient come into my clinic who doesn’t have tissue stress in their body and usually the more exercise they do, the more stress they have. I have, however, noticed a steady improvement in their stress level and a lessening of their pain after introducing them to a good diet and supplementation program. To me this is a sure indication that no matter what the ‘experts’ are saying, good supplements are of benefit for many people. This is very well written and comprehensive article which demonstrate the important role the food plays in patients with back pain. This information, along with the Acid/Alkaline chart described in ‘the Bad BAck Book’ have further convinced me to follow your nutrition advice for myself and my patients. Thanks for emailing me, again i read your page concerning the benefit of good diet. in regards to stress and the impact it has on the physical for example, back pain. I find this to be relevant in understanding the causation of my back problem. I went through a major life change, and disregarded my diet along with over work. I am now eating a more balanced diet at which point i feel healthier more vibrant, coping better with the pain. I will begin to buy more of the food you listed to decrease the pain level, as well as an overall healthier me.